Horizontal series with folded base and with anti-realease lever. "Patent Pending"
Some sizes of this series are also made of stainless steel and are shown in red. Handles: Red polyurethane, resistant to oils, grease and other chemical agents. Performance: Form ML and form MLX with open clamping lever and two flanged washers. 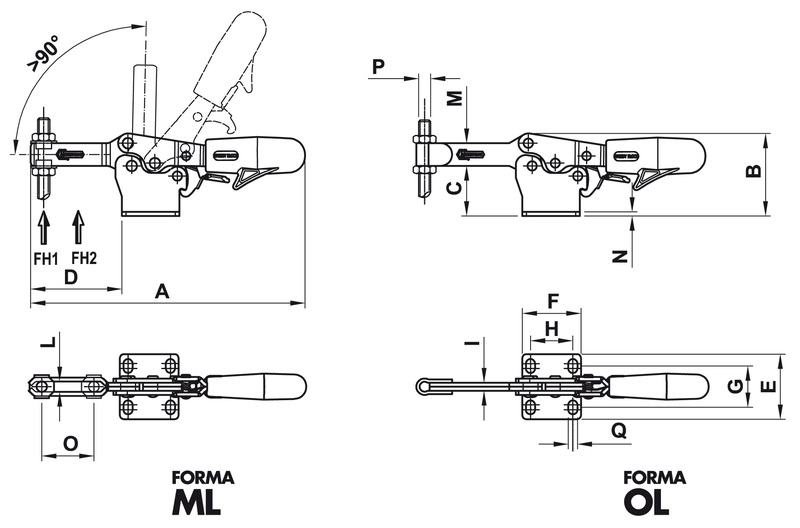 Form OL and form OLX with full clamping lever and bolt retainers to be welded in the desired position and angle. 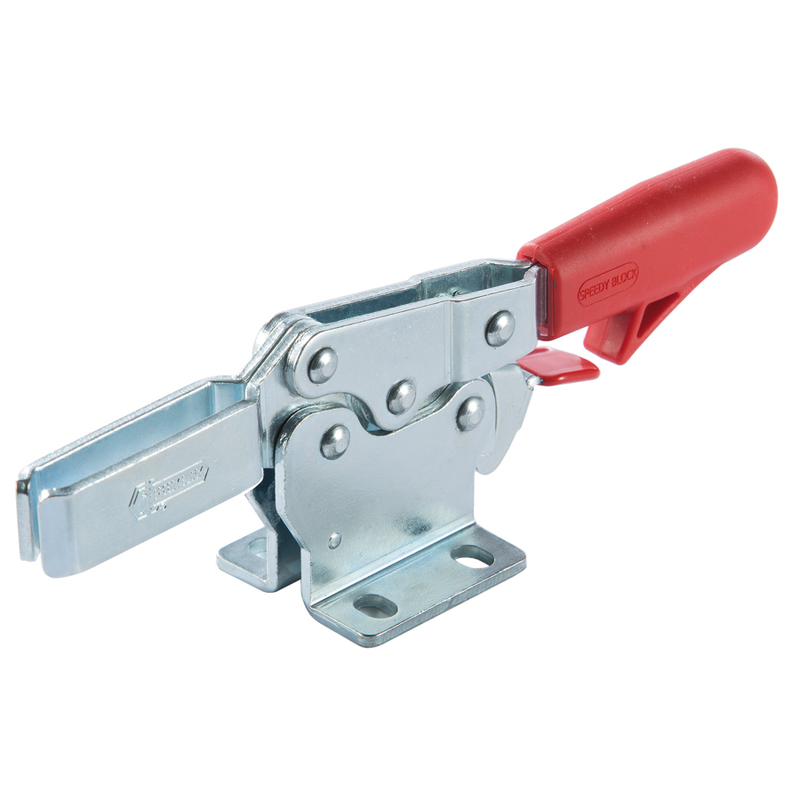 Features and applications: The main feature of this series is the special anti-release lever with the purpose of avoiding any accidental openings caused by vibrations; these tools are designed to prevent the operator's fingers from being crushed by the levers when opening. During the closing, the clamping lever is guided laterally to ensure greater stability against possible transverse stresses.